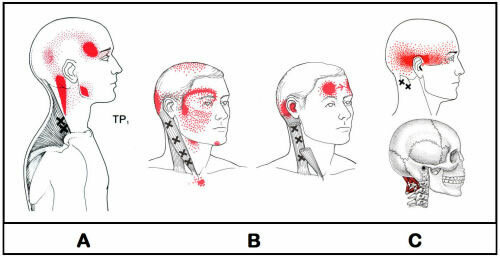 Cervicogenic headaches are attributed from referral pain to the head most commonly from the upper cervical (neck) or occipital region. Fixated joints and associated soft-tissue and muscle problems cause referral pain in the form of headache. Migraine is a debilitating condition characterized by moderate to severe headaches. 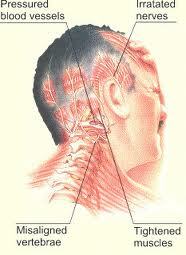 The typical headache affects only one half of the head, and is pulsating in nature, lasting from 4 to 72 hours. Approximately one-third of people who suffer from migraine perceive an aura—unusual visual, olfactory, or other sensory experiences that warn that the migraine will soon occur. We have found that a multi-disciplinary approach works best to treat people with migraine headaches because of the variation of triggers. Our unique approach is ideal in treating migraine headaches because of the variety of knowledge and available therapies. There are various treatment options available depending on the type of headache. Our clinic Doctor’s use a multi-disciplinary approach to which will ensure the best possible positive outcome.